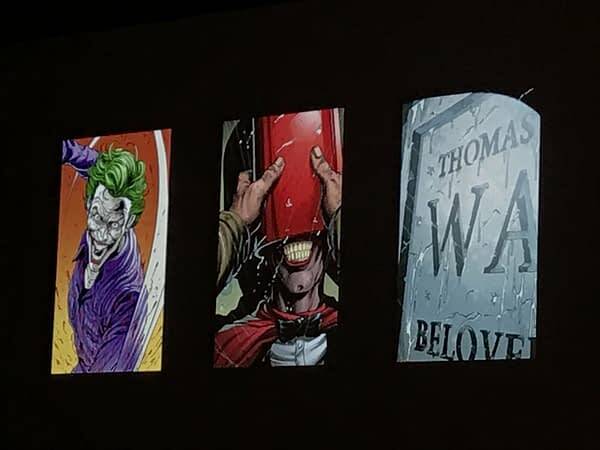 Geoff Johns is hosting his spotlight panel at NYCC right now, and after dropping some some tidbits about the DC Universe shows, he brought out the big guns, teasing the upcoming and long-awaited Three Jokers story. 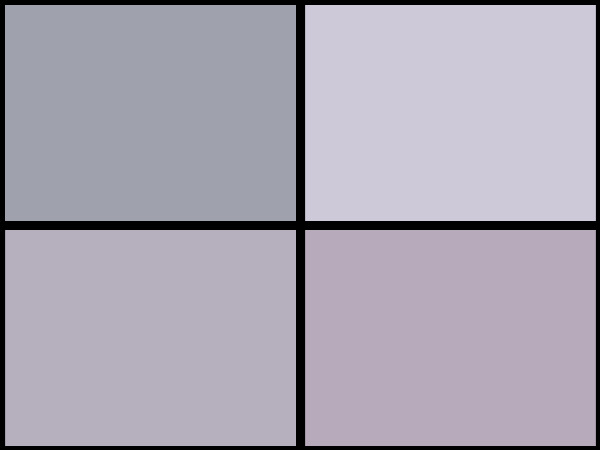 The story will focus on the Joker through three eras, and the primary stars of the story will be Bruce, Barbara, and Jason. 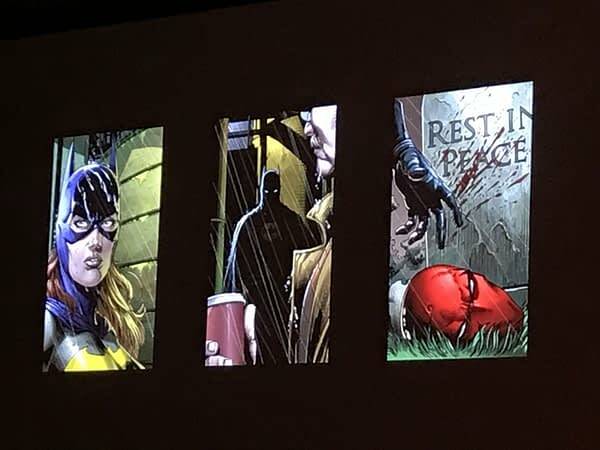 He also showed off a bunch of art by Jason Fabok. 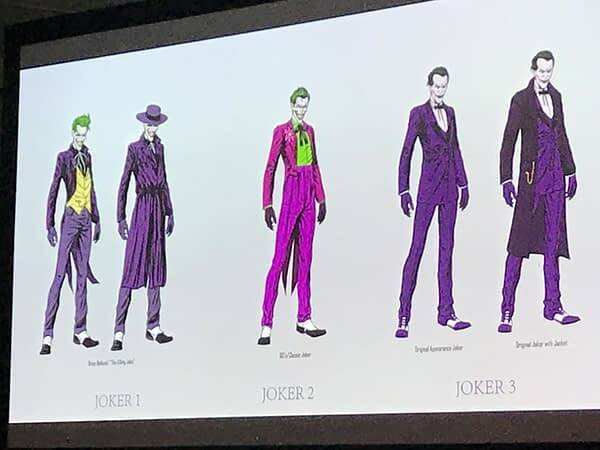 There is a lot of of throwbacks to the character designs from Killing Joke, with some nods to Keaton’s Batman in his costume. 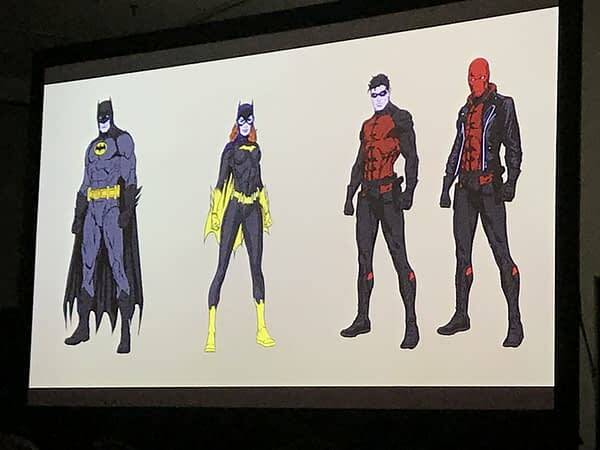 Jason is wearing the jacket one of Joker’s thugs was wearing the night Joker shot Babs. Looks like there is a lot of little Easter Eggs in this one. 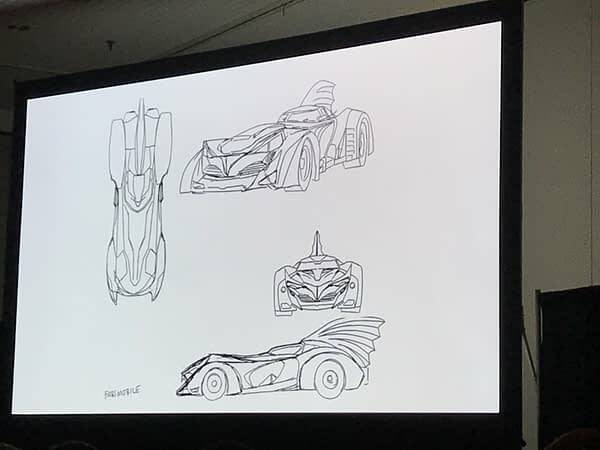 The Batmobile design is especially cool, with elements from Batman 66, the Killing Joke, and Batman 89 all represented. I do love how it looks like we are exploring so many eras of these characters all at once. 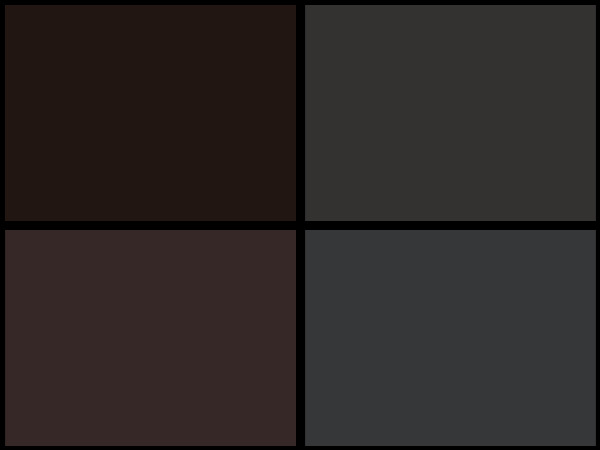 This has the potential to be a really special story. It better be for how long we have been waiting for it.